Everyone is doing CrossFit nowadays. It's an intense workout that gives you results, so it's no surprise it's so popular. 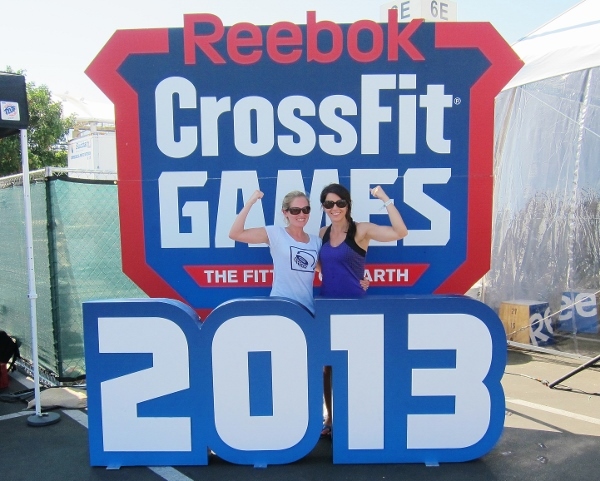 And with the 2013 CrossFit Games taking place just last weekend, there's even more of a reason to give it a try for yourself. 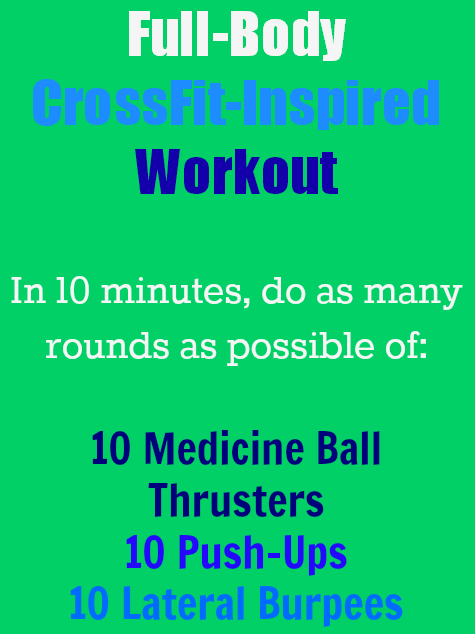 To give you a taste of what CrossFit is all about, here's a WOD ("Workout of the Day") that will provide you with a full body workout in just 10 minutes. Really! Don't believe it? Set a timer for 10 minutes and try to do as many rounds as possible of the following exercises without taking too much time to rest between exercises. If you push yourself, I guarantee you'll get a great full-body workout in a short amount of time! Unsure of how to do the exercises listed above? Here is a video demonstration of Medicine Ball Thrusters, Push-Ups, and Lateral Burpees (jump over the medicine ball). Note: please consult your doctor before starting a new exercise program.